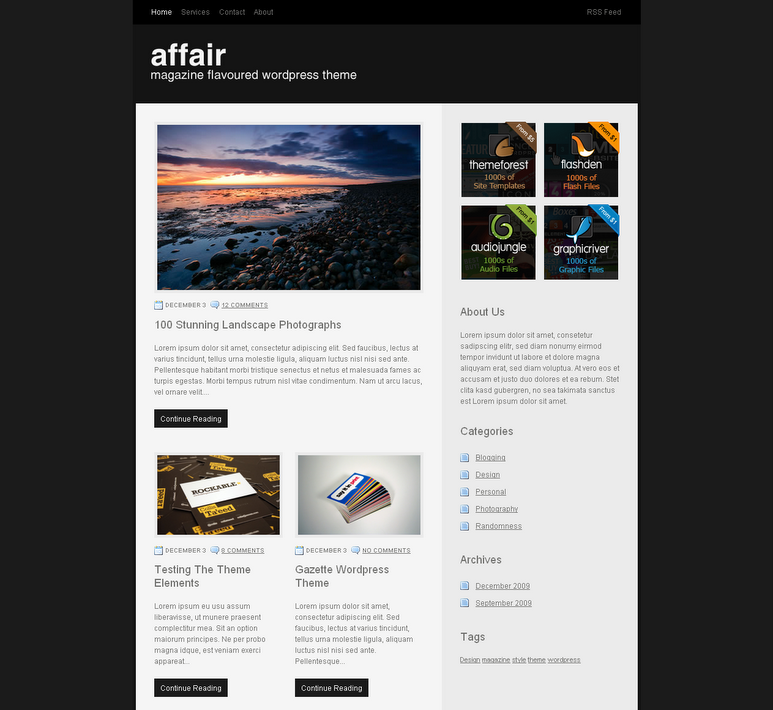 Affair is a 2 column, magazine flavoured Wordpress theme, designed by ThemeForest to put your content at the forefront and give your blog a modern, stylish and professional feel. Featuring automatic thumbnail generation and custom social media links. Affair theme is coded in Valid Xhtml and CSS , is ready to run straight out of the box and for those who like to tinker, customizing the theme is also super easy!